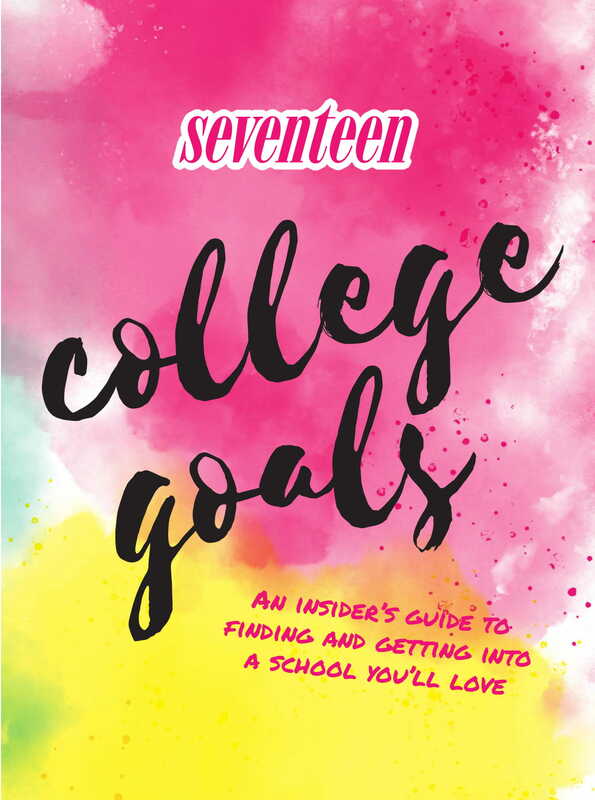 Bluestreak Books sent me a copy of Seventeen: College Goals AND is providing a prize pack for one of my lucky readers! Affiliate links are used within this post. I thought potty training was hard. The toddler struggles have NOTHING on dealing with growing teens. Teaching them how to drive, surviving SATs, preparing them for high school graduation, helping them with college applications, and finding their first apartment away from home. 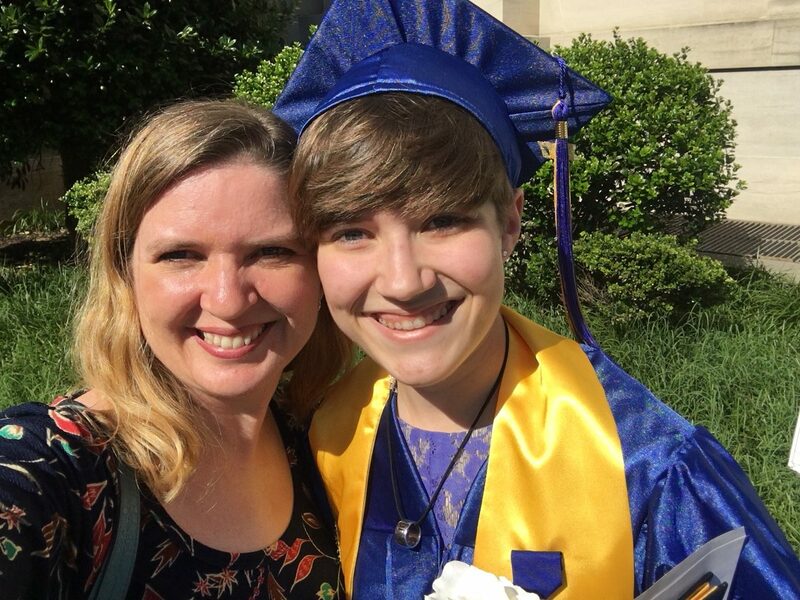 My second daughter graduated from high school last year and has been attending community college locally while she worked as a nanny. She’s currently apartment hunting out west as she prepares to move out and continue her education (and her social life) in a different state. My oldest son is 17 and finishing up his junior year of high school, which means that things are going to get REALLY busy around our house. Again. 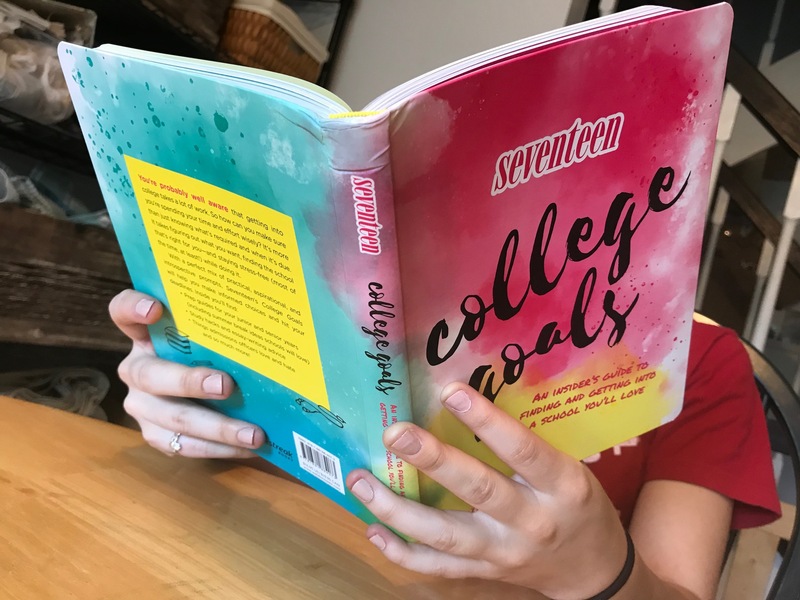 When Seventeen: College Goals came in the mail, my 18-year-old immediately said, “where was this a year ago? 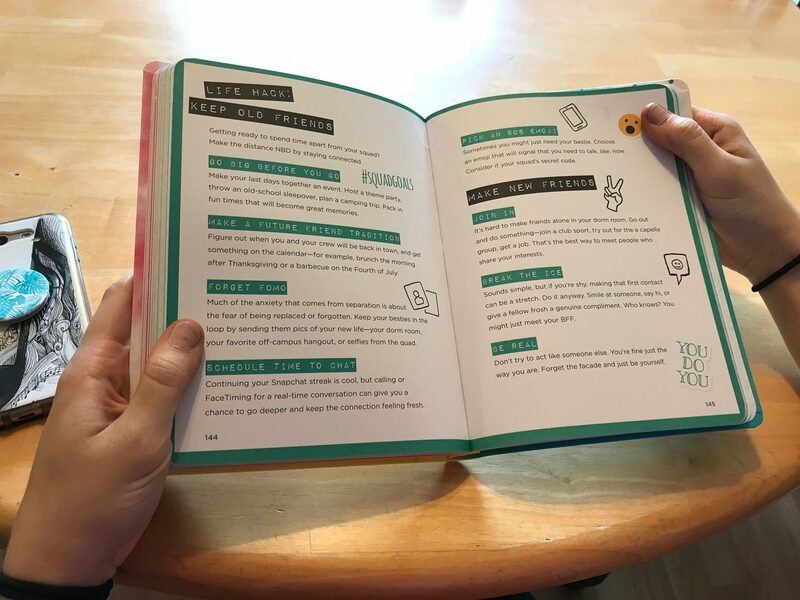 I could have used this then!” However, as she flipped through the pages, she found so much helpful information. We both agreed that this would be the perfect book to give to a girl starting her junior year of high school. 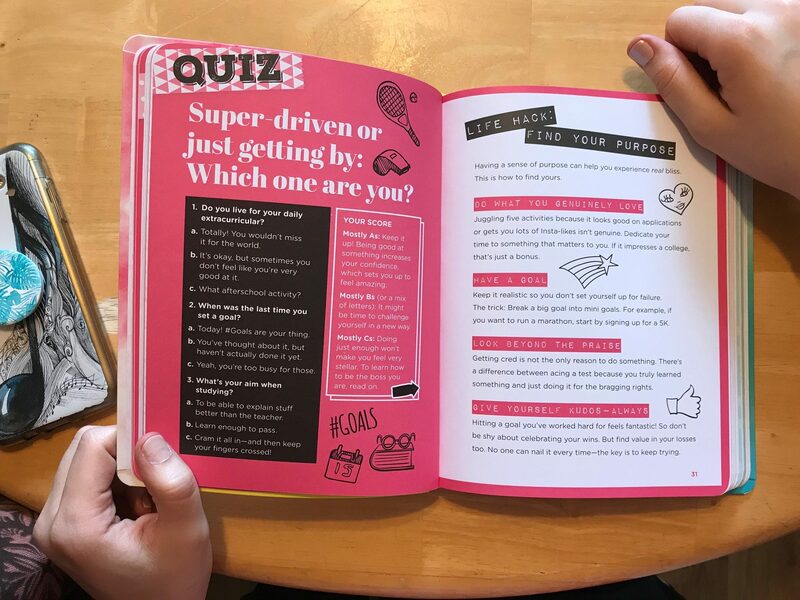 There are so many things that my kids weren’t thinking about that early in their high school careers, but I can attest that things like SATs and college applications sneak up on you FAST. It never hurts to start thinking and planning early. Do you have a son or daughter heading to college in the next few years? Then this is the book for you! And good news – one of my readers is going to WIN a copy (plus a fun little Visa gift card too!). Giveaway open to US addresses only. Prizing and samples provided by Bluestreak Books. Giveaway ends June 1, 2018 at 11:59pm ET, after which a winner will be chosen at random and notified via email. Good luck! I commented on MOISTURIZING FACE WASH! I agree… start researching early! Getting a realistic grip on how much it will cost, how you will pay for it and what your options are. I don’t know anyone who paid for their college education, that doesn’t in some way regret the financial choices they made. Early preparation and touring colleges that you may consider earlier too is a good idea. buy two of everything because your bound to lose one!!! buy two of everything cause your bound to lose one of them!! We are doing a lots of research into grants and scholarships. My daughter wants a college where both sides of a view is heard and allowed and not blocked by one side vs the other. Start researching scholarships and colleges and start taking your SAT’s in your Junior year of High School. Take some college prep courses, do a lot of research and apply for every grant and scholarship that you can! I commented on SPRING SALAD RECIPES – DELICIOUS DISHES RECIPE PARTY! My tip for looking for colleges – Do your research on majors and types of degrees. Make a list of ones that best fit you. Use that list to choose schools. my best tip is to get ready as early as possible. My best tip for getting ready for college is to not wait until the last minute, make a checklist of things you need, and have it nicely organized and ready for move-in day! I commented on TASTY STRAWBERRY RECIPES – DELICIOUS DISHES RECIPE PARTY ! My advice and tip would be to be realistic about going for a major that will help you earn a good living. I have watched difficult situations over the years whose kids majored in theatre or art and then tried to make a career out of it. You can always do things like that for a hobby. Weigh all your options and take your time! 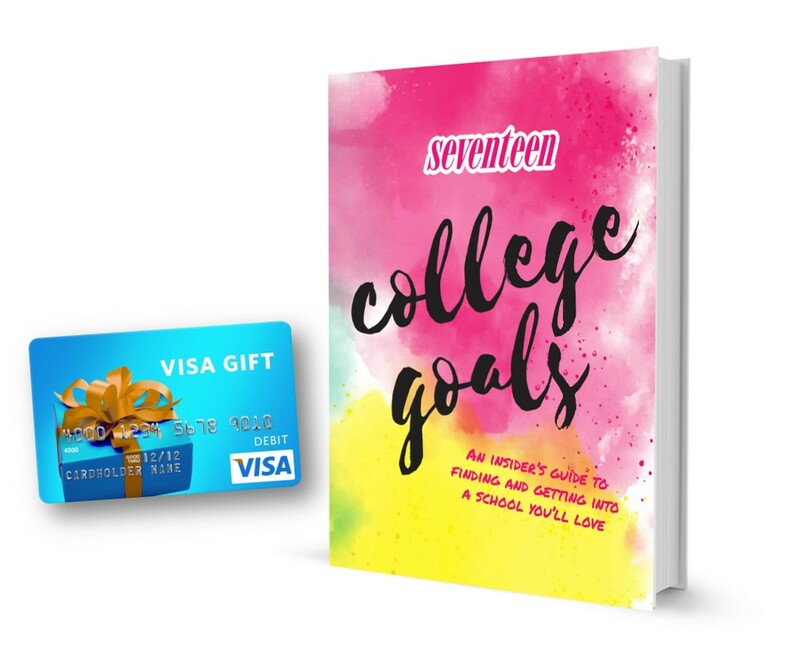 Have your teen a credit card the year before leaving for college. So they learn to be responsible before leaving home. develop a strong work ethic and work towards being very independent. Set a good budget and don’t get roped into the credit card offers and whatnot that they try to pull on campus. My tip is to have a budget plan! Explore a hobby; try a sport; join an academic club; volunteer for a worthy cause.Colleges look for balance outside of just good grades. This is my first time dealing with college but my tip is use help that is available through school and vocations. I have to say its very important to make sure they know how to make meals for themselves. My best tip is to ask others you trust about their experiences in the college process and what they learned and what they would have done differently. I would say there’s nothing wrong with going to a community college for a year to figure out what you want to do. College is expensive and it’s not worth the debt if you get a degree in something you never use! My best tip is to visit the college your child wishes to attend, get familar with it. My best tip is to shop around at different colleges and do your homework. Be organized, take a test that best help you choose a career, work hard and always ask for help when needed. Thanks for the chance to win such an amazing giveaway. My best tip is to learn from experienced people, either from friends, family or take prep course. My tip is to pick the brains of friends and family members who are already in college and have been thru the admission and selection process. Take an SAT prep course and hire a tutor if necessary. My best tip is to prepare and plan as early as possible & really think about what you want to get out of college life & look for colleges that meet those expectations whether it means finding a large school or one that is private & smaller. Prepare for the SATs early. My tip is to take any college prep courses that are offered. I think starting to prepare early is important.